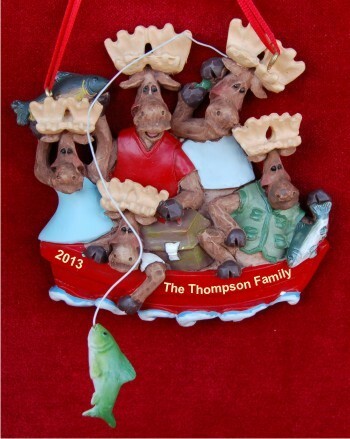 There's a boatful of fun in this comical boating: moose family of 5 personalized Christmas ornament. 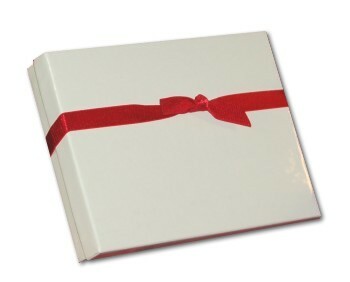 Any family will get a kick out of it when they pull it from our classic velvet gift bag. It's one of our family & relative ornaments personalized with your specific details that enhance its meaning. Put a smile on your own family's faces this season or delight friends with the family of 5 moose family personalized ornament. We have similar ornaments for families of others sizes too, and that makes your gift shopping easy at Russell Rhodes.